Motor finance can be confusing so let us help demystify the subject! Watch our videos and gain an understanding of the different types of car finance available, as well as the benefits of using specialist motor finance to fund your next car purchase. 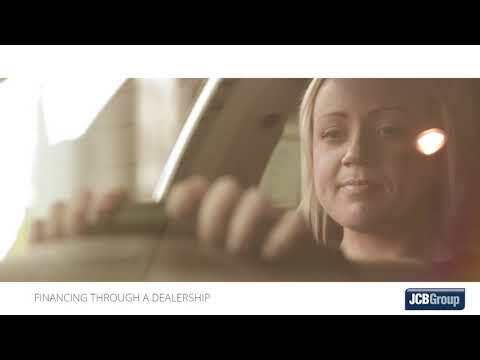 Why Use JCB Honda Finance? There are many reasons to use JCB Honda to fund your next vehicle purchase. This video will tell you why, in plain English. Flexible end of agreement options, such as keep your vehicle, part-exchange for a new one or return the vehicle. Hire Purchase is the traditional way of funding a vehicle purchase. There are several benefits to using secured finance to pay for your new car rather than using an unsecured personal loan, your savings or your mortgage. We also do Contract Hire for personal or business use. For peace of mind motoring - ask in the showroom for the finance option that suits you. Have a particular price range in mind? Use the powerful “Budget” search tool to search our stock based on your monthly budget. Looking for a particular car but don’t know if you can afford it? Use our “Vehicles Search” on the left hand side to find your car and see accurate finance quotes displayed next to it. Use the adjustment bar to tailor the finance quote to a monthly payment you feel comfortable with. A longer contract period, a larger deposit and lower annual mileage will all make your monthly payment lower. Remember that the value of your part exchange can be used as part or all of your deposit. If you are currently in a finance agreement, give us a call and we can give you a cash value that you can use as a deposit to fund your next car purchase. Apply for finance online, have the quote emailed to you or just pick up the phone to book a test drive or have a chat. If you feel you need to review your agreement, please contact us at any time. We will usually contact you mid-way through the agreement to check it still meets your needs.